A Microsoft spokesperson has told gamers that if they don't have an internet connection, they should get an Xbox 360 instead of an Xbox One. 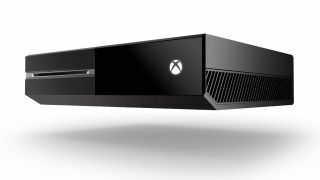 The Xbox One always on controversy has had gamers riled - although you don't technically need an always-on internet connection, you do need to log on to the internet at least once every 24 hours or you won't be able to play. Not ideal for any game-lover who doesn't have an internet connection, or who lives in a rural area with patchy connectivity - but Microsoft doesn't seem to have much sympathy for you. Xbox executive Don Mattrick told Spike TV, "Fortunately we have a product for people who aren't able to get some form of connectivity, it's called Xbox 360. Oh great, thanks Don. What's that we spy? A digital divide? One superior product for the internet haves, one older, less technically-able device for the internet have nots? Not that the Xbox 360 isn't a solid device - particularly with this week's hardware refresh to consider - but if you're into gaming it seems unfair that Microsoft thinks you should you settle for older tech when a new console is available just because of your internet connection. Happily, the PS4 doesn't require one.